In the summer of 2009, my body revolted. My slightly temperamental stomach became unable to handle anything. Crackers and toast gave me 3 hours worth of digestive pain. I didn’t want to eat, I had little desire to drink, I didn’t want to go out in public, and I couldn’t concentrate on anything except the pain in my stomach. Agoraphobia, claustrophobia, and anxiety reigned supreme for months. The doctor’s diagnosis? I needed a shrink and yoga, and to cut back on the antacids in favor candied ginger. I knew I was going crazy, but it was the food that started the crazy, not the crazy that started the food issues. The journey to getting to a gluten free diet isn’t my favorite to talk about, but I still do often because I live in Orange County and most people think I’ve just jumped on the bandwagon. I absolutely oppose people choosing gluten free as a fad diet. As a lifestyle change, though, I think it has merit. Here are the Top 5 changes that have improved my life over the last five years. McWhat? Burger Who? I can say, without lying, that I haven’t eaten Chicken McNuggets, a Big Mac, or a Whopper in over five years. Yes, really. I occasionally (read: once every six months or so) get a bun-less Famous Star at Carl’s. But that is last resort dining. My body doesn’t like greasy food anymore. It’s not even enjoyable. Low Carb Life. 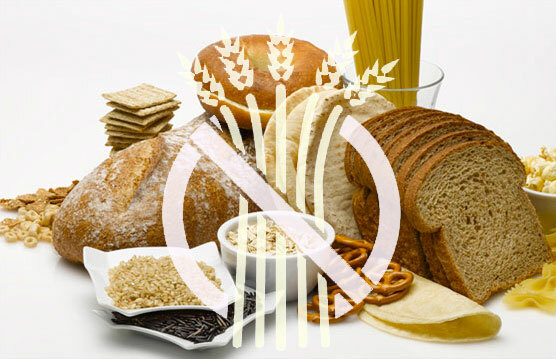 You have two choices when going gluten free: don’t change your diet and just use substitutions, or change your diet and use substitutions when necessary. I tried the former, and it’s a miserable way to live. It’s also expensive. The latter saves sandwiches for special occasions (with really great bread), and is much better than eating mediocre sandwiches every day. More Adventure. Sure, my fooding adventures often include me telling the waiter, “So I’m gluten free…” but when you stop eating pasta and sandwiches for every meal, you broaden your horizons. I went from never eating Mexican (as a native Californian, yes; I know, it’s sad) to eating it multiple times a week. I love Greek, Thai, Indian, Cuban, and various South American foods I never tried before I switched my diet. With some restrictions comes greater creativity. Healthier. There’s a reason it’s a fad diet. If you don’t give in to a bunch of substitutes, you eat better and healthier by necessity. Your body feels the difference and reacts when you eat something unhealthy. This relates back to #1. You don’t need a large milkshake; a kid’s size is almost too much. You don’t need a large fry; one or two satisfies a craving. Red meat only sounds good occasionally, and not a daily staple. Not only are you healthier, but your body rejects unhealthy choices. Better understanding of my body. Maybe this one isn’t true for everyone. I understand what my body is telling me way more than I used to. I rarely overeat. I know exactly what foods bother me more than others. I can pinpoint a bad combination of food simply by how it settles in my stomach. It feels really good to understand what your body is trying to tell you. I haven’t been officially tested for Celiacs, but gluten intolerance runs in my family (my poor grandpa had to deal with it in the 70s, if you can imagine). The only definitive tests would require me to eat gluten consistently for a number of days, even over a week. I’m not prepared to do that. For the time being, I will continue to say that I am gluten intolerant and, when people ask me, untested but likely to have Celiacs. My diet restrictions have done nothing but improve my life. I’m a healthier person, I eat more diverse food, and I’ve gained a significant amount of willpower. I hold that people should never jump on a fad diet bandwagon. But, I fully support a dietary change that improves your life. Whether you have to do it for restrictive reasons or you’re willing to make a permanent change, you won’t regret it.